The Ryan Reynolds Workout shows how he got a lean body for Green Lantern. He used a lot of body weight and circuit training exercises. The Ryan Reynolds workout involves working out 7 days a week, for 90 minutes each session. He always starts with a core circuit, then focuses on a specific body part. Ryan Reynolds got in touch with celebrity trainer Bobby Strom. Strom is responsible for the workout bodies of Britney Spears, Shakira, Scarlett Johansson, and Blake Lively (Ryan Reynolds’ wife). 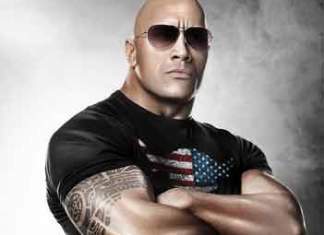 Bobby Strom is famous for getting celebrities in shape for their movie roles and music videos. Core circuit Plus one body part per day. The goal of circuit training is to get a lot done in a short amount of time. Circuit training promotes fat loss by keeping the body constantly moving. You are trying to work multiple body parts, with minimal rest in between. Circuit Training allows for resistance training while keeping your heart rate up. You start by doing a cardio warm-up, then go fast during your circuit workouts. Ryan didn’t need to do a ton of cardio, because it was weaved into all his workouts via circuit training. Circuit training is all about “short bursts” of exercise, allowing you to focus on a different body part each circuit. Body Weight exercises focus on the core. Bobby Strom likes to talk about his client’s core, which he calls the “bridge” to the rest of your body. Body weight exercises require more flexibility and balance. Body weight exercises are great because they encourage a full range of muscular motion. It is hard to over-exert yourself, compared to free weights, and you get the added benefit of not needing equipment. Further, you work your core, because of the added balance needed. Squats, planks, lunges, and pull-ups were all core aspects of body weight exercises. Speed and Power improve performance. Explosive movements are also known as plyometrics. Plyometrics build strength, coordination, and agility. Explosive movements develop muscular power and improve speed. Explosive movements, or plyometrics, exact a lot of force in a small amount of time. They cause powerful eccentric contractions, which build lean muscle mass. Explosive movements are good examples of workouts that get the heart rate up, which burns fat and continues to work the core. Kettlebell Swings, Jump Squats, and Rowing were things that Ryan Reynolds used. Ryan Reynolds’ Monday workout routine starts with core/abs, and then a lower body circuit. Reynolds starts all of his workouts with 20 minutes of ab workouts. He learned to always focus on the body part you want to change the most. Ryan Reynolds also knows that, if you really want to define them, abs need a lot of work done on a daily basis. The core is a large group of small muscles. The smaller the muscle, the more often you want to work it. The best way to get great legs fast is to lunge for four weeks. Lunges recruit so many leg muscles that you will see results almost immediately. They also burn more calories than machines do. I’ve seen alot of circuit training routines before that say to do a specific time ratio such as 30 seconds of working out as intense as you can followed by 15 seconds of rest then into the next exercise such as 30 seconds of burpees, 15 seconds rest, 30 seconds bicycle crunches, followed by 15 seconds of rest etc etc but not a specific amount of reps (they say to just do each exercise as intense as possible). This routine however uses specific amounts of reps instead. Does anyone know if either of these 2 different approaches are better or worst then the other or what the various pros and cons are compared to the other? I feel like the one with specific time segments would be good to push you to do each exercise rapidly giving an added cardio benefit; however, I also feel like the first option doesn’t guarantee that you’ll do enough reps which the second option (the routine listed in this article) does. Any information would be very helpful. Thank you. What you’re talking about is considered HIIT (High Intensity Interval Training). Studies by professional sports leagues have found that HIIT is the best way to burn fat. This is where you go all out for a period of time, then rest to get your heart rate back down for a bit. When bodybuilders do a ‘cutting phase’ this is the type of activity they usually do. Circuit training is a mix of traditional weightlifting and cardio. You’re performing various exercises quickly in succession. One body part may get a rest, while you perform the next exercise. Or, you may do a series of exercises that isolate one body part. Do circuit training quickly, while breathing properly, for fat-burning and strength results. Circuit training is kind of like the sweet spot between HIIT training and traditional bodybuilding. Both types of workouts are about cardio/fat-burning/conditioning. The difference is that HIIT is designed with cardio/fat-burning as the main goal. Circuit training is designed with strength/size as the main goal, but it has the added benefit of cardio if you go fast enough. Bottom line, if you’re looking for a fat-burning, cardio approach opt for a HIIT oriented approach. If your goal is a mix of cardio/strength, then do the Ryan Reynolds workout. Both styles are improvements from doing steady state treadmill cardio, so take your pick. They’re both great ways to get in shape. Thanks. My number 1 goal is to lose the 10 lbs I gained at school but after that i would also like to build some more strength. Would you suggest me starting with the HIIT training to lose the fat first then switching over to circuit training after or going straight to circuit training? I suggest circuit training first, or alternate each day and see how you like it. I think circuit training is the most fun workout. It’s a mix of both worlds. You’re pumping iron and getting cardio in at the same time. The only limitation is if you work out in a crowed gym. It may be hard to get everything done. Other than that, I love circuit training and that’s what I suggest for you. Ok thank you I’ll give it a shot. Good question-Circuit training is all about getting a lot done in a short amount of time. For each circuit, you do one set of each circuit. Then, you immediately move onto the next exercise without resting. Finally, when you’re done with 1 set of each exercise, you have completed 1 full circuit. Rest for a minute, or less if you can. Repeat 2-3 more times. So yes, do one set of dumbbell squat/press then move onto the next exercise. The added benefit of circuit training like this is that you are adding fat-burning/cardio to your workout. How much weight do you think Ryan is using for his chest workouts? It’s tough to tell. My guess is as good as yours…135-155 lbs. maybe? However, there are formulas to determine what’s right for you. If you know your max, then you want to aim for 60% while doing sets of 8-12. The reason for the 8-12 rep range is that studies have found this is the optimal range for getting bigger muscles (muscular hypertrophy). If you don’t know your max for a particular exercise, and don’t want to risk injury, then it becomes more of a trial and error thing. You want to use a weight that goes to failure around the 12th repetition. This will optimize muscle growth. Is it necessary to do abs workout everyday? Also, in the arm workout, I don’t see a lot workout for biceps, is there a reason? The Ryan Reynolds workout addresses his goals. He wanted to have washboard abs, everything else was secondary. Since your abs are small muscles, they get more benefit from getting worked every day, versus 2-3 times a week. I think it really shows, you can look at the pics and see abs were Ryan Reynolds’ priority. Yes, he only has a couple of biceps exercises. Again, this is because his goals center around having killer abs. It’s highly likely that your goals differ from Ryan Reynolds. Therefore, feel free to add more biceps exercises, or whatever else you like. I would add hammer curls to the workout if you want to bulk up your biceps. The takeaway from the Ryan Reynolds workout is not to do your abs last, if your abs are what you want to change the most. Do them first, and often, instead. Surely like each other muscle group growth depends on rest periods as well as exercising? Otherwise the muscles begin to break down rather then grow? So isn’t it better to do abs on alternating days? Yes, the Ryan Reynolds workout is certainly interesting, and novel, in that you work your abs first thing, and do them every day. 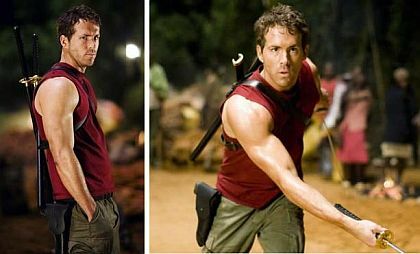 I think that the proof is in the pudding–Ryan Reynolds has amazing abs as you can see in the pictures. His routine is a circuit training type of workout where you want to work your abs everyday. It’s as much for the calorie-burning and metabolism building, as it is for breaking down the muscles. I see a lot of Hollywood trainers focused on core. Your core muscles are small, and resilient. They’re activated whether you’re doing squats, lunges, or deadlifts, or dips. In other words, you’re activating your core all the time. By activating your core on a daily basis, you’re activating a lot more body parts. In turn, this activates a lot more muscle groups, which has the effect of burning more calories. It’s that the ab workouts replace the “warm up” that most workouts use, but with the bonus effect of giving Ryan Reynolds amazing abs. The only time you would want to refrain from training abs every day, is if you’re sore. In this case, you want to give your ab muscles time to rebuild, like you mentioned above. This is why you will hear some trainers advise against doing abs every day. They don’t want their clients training to the point where they’re sore. So, take a rest day if you’re abs are rebuilding muscle, but otherwise, go ahead and do them as part of a total body workout. Does this imply that the routine involves doing one set of each exersize before moving on to the next and then completing one full circuit set before repeating the excersize? or do you do all 3-4 sets of each exersize individually? secondly how much rest does he take between exersizes and sets? Yes, this is circuit training. So, you want to go from one exercise to the next. Once you’ve finished one set of each exercise, you’ve completed one set of the entire circuit. This can be difficult to do in crowded gyms. If you don’t have the space/availability, then it may be easier to do 3-4 sets of the same exercise before moving onto the next one. With circuit training, you want to weave your cardio into the training by performing short bursts of intensity, followed by a bit of rest. Starting out, you want to rest around 30 secs between each set. As you get in better shape, try to minimize rest. The faster you go–with proper breathing–the better. You may want to take a minute rest between sets of each circuit, at least starting out. With circuit training, it should be fine to train 3 shoulder moves since you’re just doing one set at a time. But, if you feel that you’re tiring your shoulder too quickly, feel free to change it up. I have a question. This is obviously a very intense workout routine. For someone who is completely new to the gym (& I mean COMPLETELY – never lifted in my life) and is used to just running or outdoor sports (I play tennis), would you recommend this? Or is it a bit too harsh for a new, inexperienced person to try? Would I be better suited looking up another program geared towards beginners, and then coming back to this later? This is a great workout to start with. Go slow at first, to make sure you have proper form. Exhale as you perform the harder part of the lift. Inhale as you come back to starting position. Take more rest at first. Breathe deep, as that activates more ATP, giving you more energy to lift. Starting out, don’t do abs every day. You’re going to be sore. Wait till it goes away, then do them again. Let me know how it goes! Please repost the Ryan renolds bladde trinity workout. Chris, when do you think you’ll repost it? I wanna do it this week. I’m really interested in this Ryan Reynold routine, how long should I do this routine for? Ex. a month, six weeks, 2 months etc. and should I stay with the same weights for each set or go higher in weights for each set? 2-3 months is a good amount of time to get into a routine. You always want to push yourself. If you feel the reps are too easy, then you want to jump up in weight. This will aid in the muscle building process. Doing 8-12 reps at a weight, where you can’t do any more, is the rep region where you build the most muscle. Each set, you want to go to failure, or at least until you begin to feel the ‘burn’. If you’re doing more than 15+ reps, that’s more optimal for fat burning. Thanks that help me a lot I’m going to start this routine on Monday. When are you gonna put up the ryan Reynolds blade trinity workout again? Chris, please respond. I’m researching the Magic Mike Joe Manganiello workout first, then I’ll research the Blade Trinity workout. i”ve got a injured on my right wrist for doing plyo push ups but now i am recovered i though on buy a medicine ball for push ups,tosses and throws or rotational push up handles what do you recommend chris about your experience? Good question. I use the Go Fit Push Up Bars. They allow for a deeper range of motion, and take the pressure off your wrists. I haven’t tried the rotational ones, but they should work, too!